I am a summer time kind of girl and love having glowing skin. One of my favorite things about summer is of course the tan! When I’m tan I like a natural beachy look for makeup. I love rosey sun kissed cheeks and nose, but the sun is so damaging to your skin. I wish I would have started caring about my skin earlier in life, but it’s better to start later than not at all. I always make sure to have sunscreen on my face, so it’s just natural that my face is never as dark as the rest of my body. 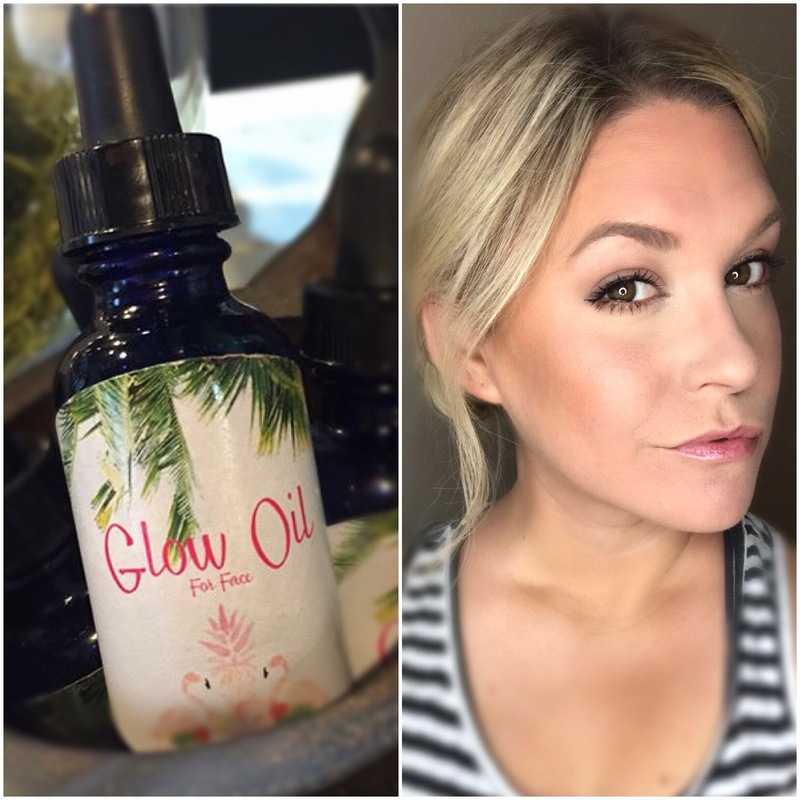 I have found the solution to this, it’s a face serum call Glo Oil! It’s so simple and easy, I just added a few drops to my normal nightly skin routine. It’s extremely moisturizing, so you could even replace it with your face lotion. When I wake up in the morning it’s like waking up after a long day at the beach, sun kissed! It’s made by Kristin Taylor, owner and operator of Brown Suga Tans. This girl decided to step up the spray tan game and make her very own products. This makes my daily makeup look a dream. I put on my foundation or bb cream depending on the coverage I want, then brush some bronzer over my eyelids and cheeks. Last steps are to coat on the mascara and put on a natural gloss for the lips. The look is simple and could even be used for a night look by adding some false eyelashes. So glad I found this product just in time for summer.